Click on the menu items below to link to a particular resource. Click on the menu items below to link to a particular national profile. This project, initiated in 2011 by the History Standing Committee of the International Society for Music Education, is an attempt to provide music educators and music education researchers with a series of country-specific history of music education profiles that will represent a source of both information, references and additional resources. Each of the national profiles—which will be progressively added to over time to include as many ISME-affiliated countries as possible—will include an historical overview (a summary of the major developments, some including a timeline of significant events), or one or more key reference(s) (published article or book chapter sources), or an external website for each country. In addition, some national profiles will also include a listing of representative bibliographic sources including theses, journal articles, conference papers and other documentation of the history of music in educational settings in the various countries. Some national profiles may also include information about prominent music educators (including portraits and brief biographies) for the particular country. 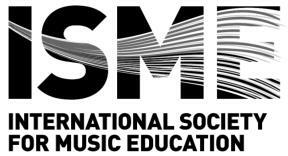 Information for the respective national profiles pages has been provided by music education historians who have been nominated by the ISME-affiliated national associations / societies of music education in the various countries. These countries are listed in the left- hand and centre columns below. Where a national profile is not yet available but there is a key reference (such as a published article or book chapter) available, this has been cited, together with a link to the journal or book source. It is hoped that, as the discipline of music education history becomes better established in ISME-affiliated countries, more national profiles will be added to the International History of Music Education website. Note that with the exception of some bibliographic resources for specific countries that may be available on the national profile pages of this website, all content will be in the English language. For non-English speaking users, translation facilities available within web browsers may facilitate the reading of these webpages in your local national language. Other resource websites/webpages related to history of music education are accessible via the table on the right hand side of the page. Related articles available on Wikipedia may also have been included and there may also be links to other websites which are either in place pending material to be supplied by national historians or that provide additional information. The following icons are used for links to these external resources: Wikipedia articles Other websites Downloadable PDF files Note that links in the index columns below in square brackets are not yet available. 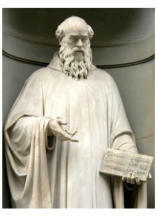 If you are able to provide additional links to relevant material or have feedback on any aspect of this website, please email the editor / developer, Dr Robin Stevens (Principal Fellow, Melbourne Conservatorium of Music, The University of Melbourne), at the following email address: robinstevens@music-ed.net This website was last updated on 18 February 2019.